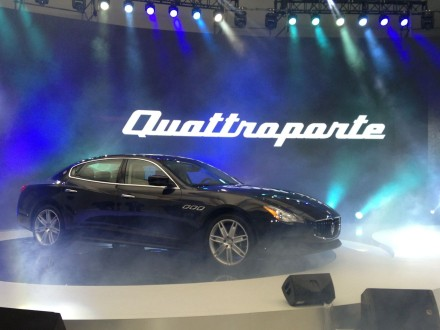 Maserati has just launched its latest Quattroporte in Chinese market. Based on the brand’s goal of selling 50.000 units by 2015, it introduced its flagship model in world’s second largest market for this kind of cars. This car was developed in Turin but this time taking into account Chinese market in terms of needs and taste. They made sure to build a car that can be equally succesful in Europe, America and Asia. That’s why the car is larger, more luxury, and is now powered by Ferrari engines. Maserati wants to sell 12.000 units of this model in 2013, which means to double 2012 results for all range. One of the key markets is China, where big sedans are very well appreciated. In 2011, more than 110.000 units of F-Segment sedans were sold in that market, from which 445 corresponded to the previous Quattroporte. They certainly love big sedans and Maserati knows it. That’s why this time they are not only offering a better car to compete directly with Germans, or the locally made Buick La Crosse, but they will open more dealerships in mid size cities. Currently Maserati operates with 25 showrooms all over the country, but it announced it will open 10 more this year. The price for the V8 and 530 hp is 2.67 million yuan, or 330.000 euro, much more than the price for Europe (around 120.000 euro). Though price is not a big issue in this segment, the Maserati is in line with its rivals prices, imported from Europe as well. Maserati has not revealed its sales goal for this model, but the brand could easily sell more than 1.000-1.500 units this year in China. The new Quattroporte was also presented in United Arab Emirates. 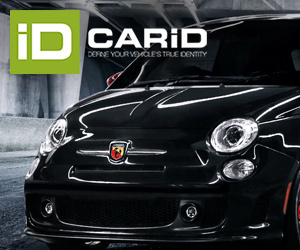 The Middle East is another key market for the expansion of the brand as this kind of cars are extremely popular there. Normally the F-Segment doesn’t count for more than 1% of total market. But in the Middle East is different. In 2011 this big sedans counted for 4.8% of Kuwait’s market, 4% of Saudi Arabia’s, 2.6% of Qatar’s, 2.4% of UAE, and 2.1% of Bahrain’s car market. These are certainly big numbers for this kind of cars. 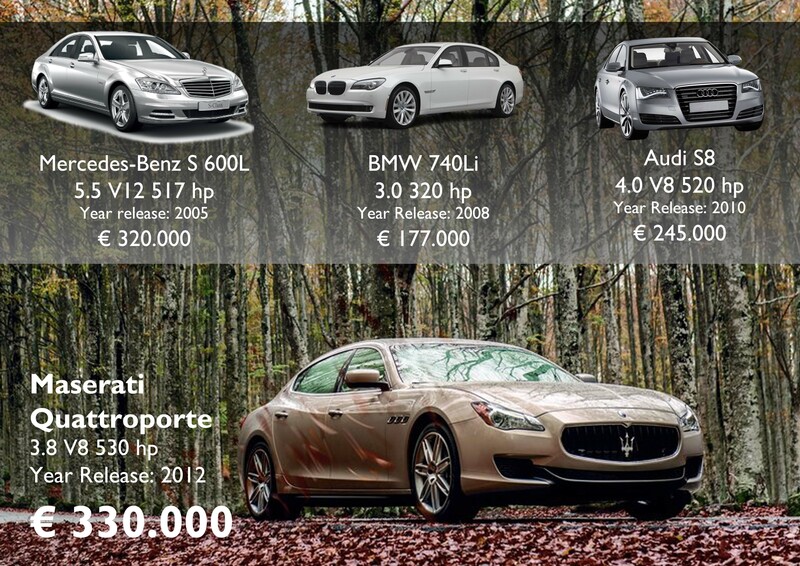 Maserati launched the Quattroporte starting at Dh525.000 (110.000 euro). ← What is it about the new Jeep Cherokee?